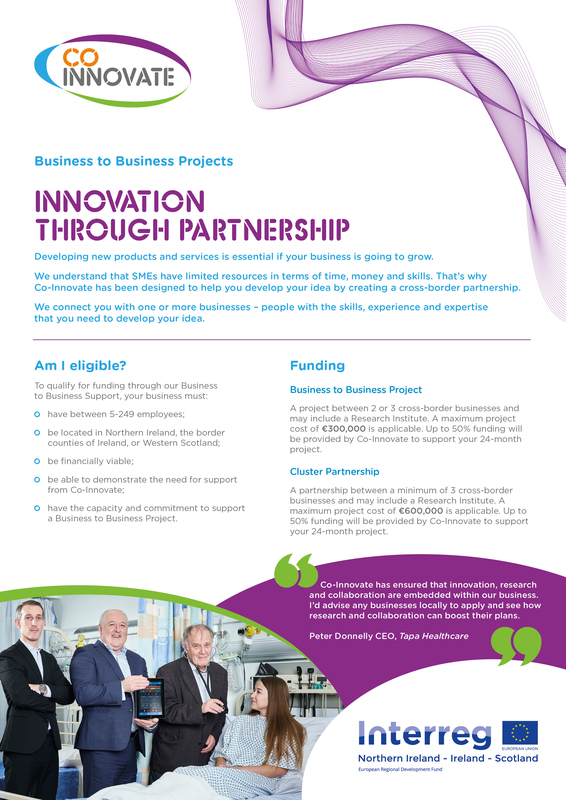 How to Apply for a Business to Business or Cluster Partnership. Your business must demonstrate how you meet the Eligibility Criteria. To apply directly to the Business to Business or Cluster Partnership programme, then you must fill out a brief Expression of Interest form below. 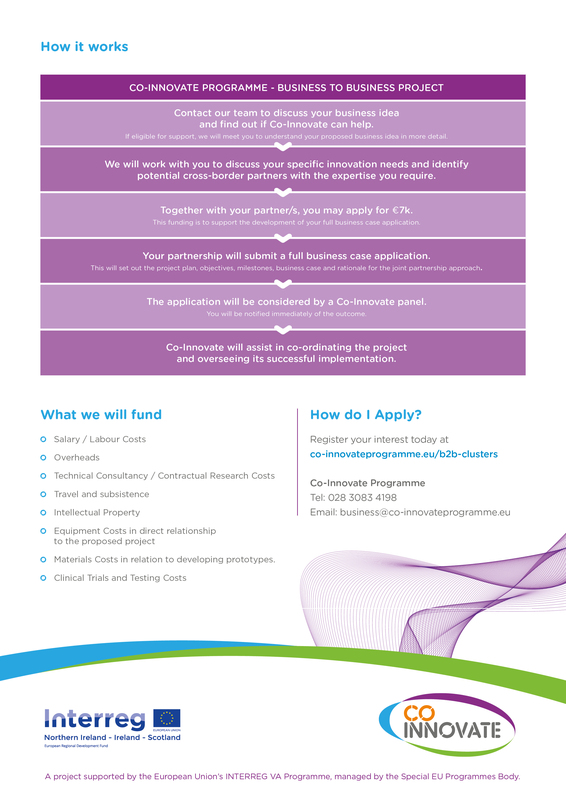 On completion of the Expression of Interest form, you will be contacted by the Innovation Advisor to assess your eligibility, assist you with identifying a partner (if required) and guide you through a two stage application process. It should be noted that it is expected that the MD or another senior member of staff will attend ALL development meetings with the Innovation Advisor.